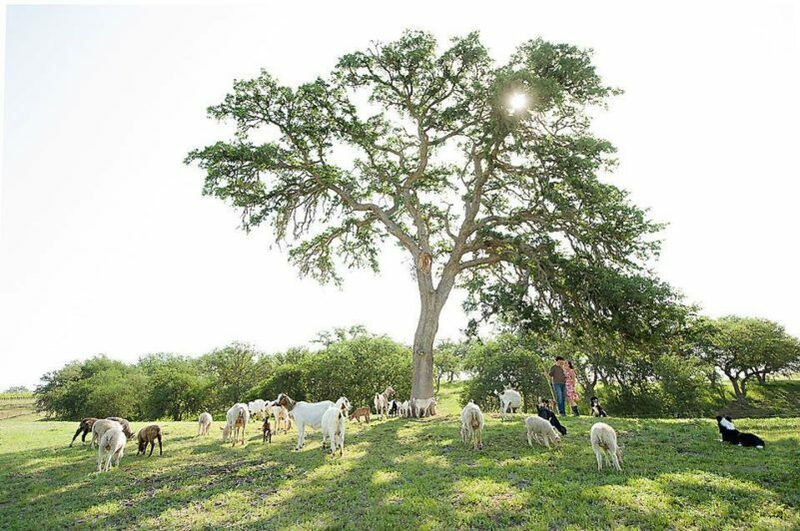 Rêves de Moutons translates roughly to “the dreams of the sheep” or “sheep dreams”, which sounds a lot like sweet dreams, which becomes reality when you find you can stay on a sheep farm in the heart of Paso Robles wine country! 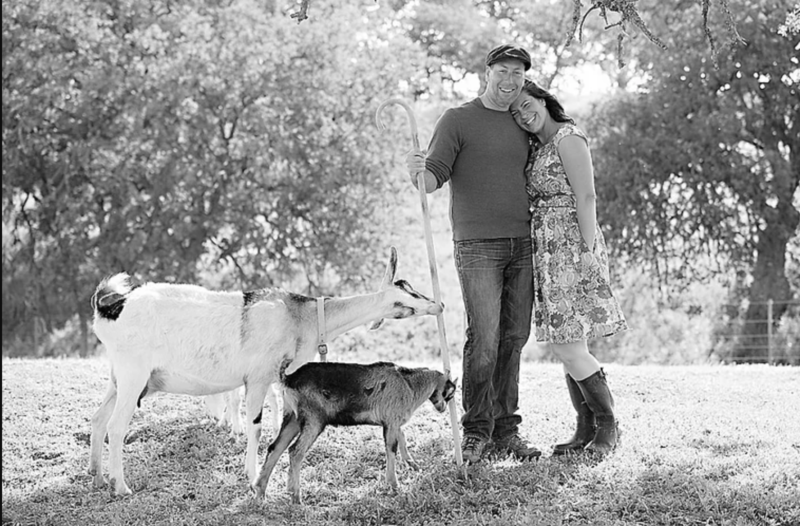 Meet Evan and Kristy Bishop – a lovely young couple who opened their Inn, farm, and fromagerie in 2014, following their own dream to create a place where they might ultimately retire, but while still young could enjoy a region of their choice and be productive participants in the landscape and community. Evan and Kristy raise sheep and goats for milk, cheese, meat, and wool. They are working to become a certified dairy (hopefully by spring), and then will be able to sell their cheese to their lucky guests. Evan spent summers at the family dairy in Maine and is a photographer by trade; Kristy was in the health industry until the couple settled down to make their way on the farm. Best of all, rather than keep their beautiful farm to themselves, they decided to open an inn for guests! 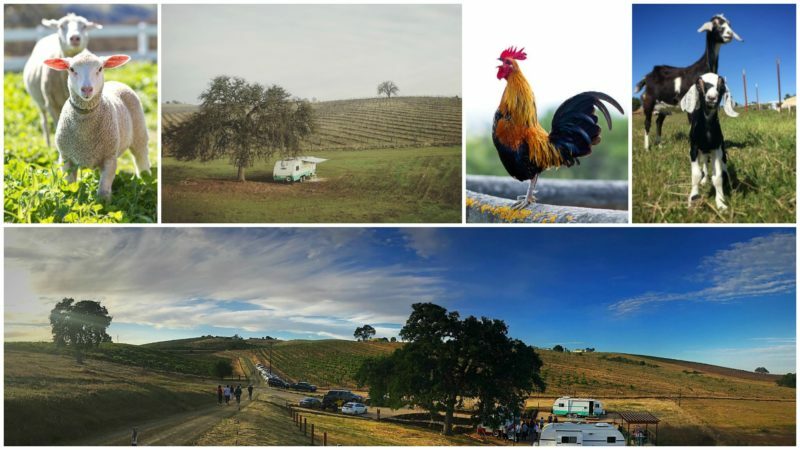 Here you can stay in luxury retro style campers with plush queen sized beds and fully equipped kitchens, as well as an intimate community courtyard for hosting a group retreat or meeting the other guests. If you prefer, there are two rooms in the farm house shared with the Bishops. Daily farm tours and meet and greets with the flock of sheep and goats allows guest to get the farm experience without having to muck out the pens! Or, if guests want the full hands-on experience, that can happen too. Evan is happy for the help with the feeding and the milking, and Kristy will hand you an extra muck rake if you are willing. 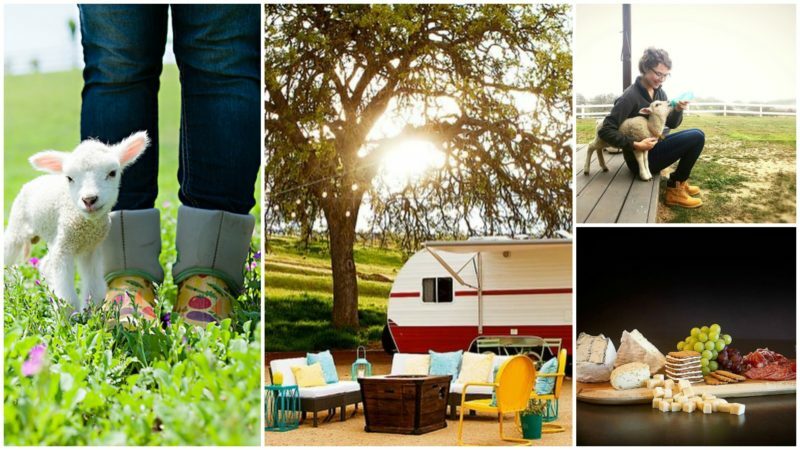 Pricing starts at $149 per night in the glamping trailers, identified as Bliss, Harmony, and Joy. Or rent all three for a family reunion or holiday with friends for $349. The two rooms in the farm house are available on Airbnb (search for Rêves de Moutons) for $129 per night, and these include breakfast. The lodging is bordered by a vineyard on one side and the farm’s livestock on the other. 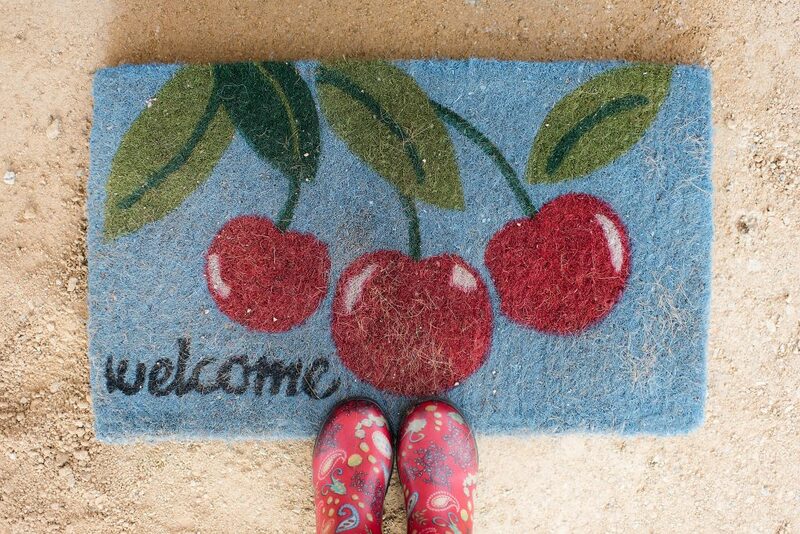 Use the farm as a base camp for all there is to do and see in the area. It’s a quiet retreat from the hustle and bustle of life and you might just find that you don’t go anywhere but fall into the gentle rhythm of the countryside with a glass of wine and a good book! For more information, check out the Rêves de Moutons listing here at Farm Stay USA, or visit them on their website, Facebook, or Instagram (a must follow, for more of these gorgeous photos)! All photos courtesy Rêves de Moutons.